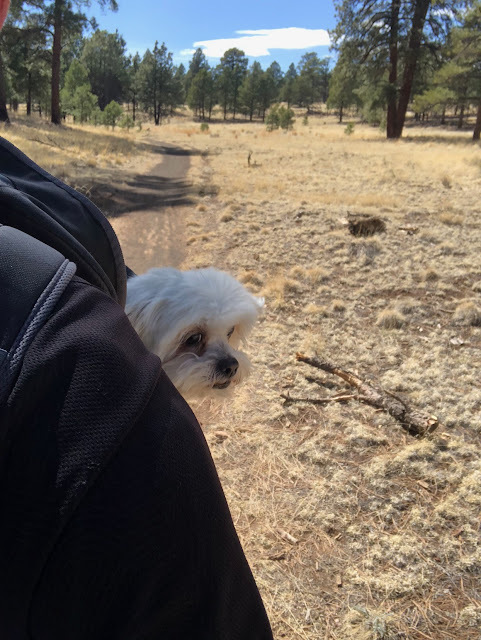 Well I had a nice easy ride back to AZ, it was just me and the dog again so of course my mind was on a a ride where I could safely stuff the doggy in the backpack again. 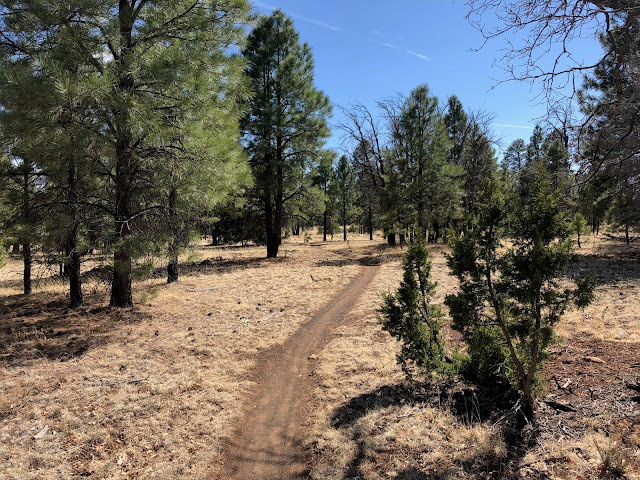 I absolutely loved the idea of riding Flagstaff area, I knew Campbell Mesa already and found it would be easy off the highway and easy on me and the dog. 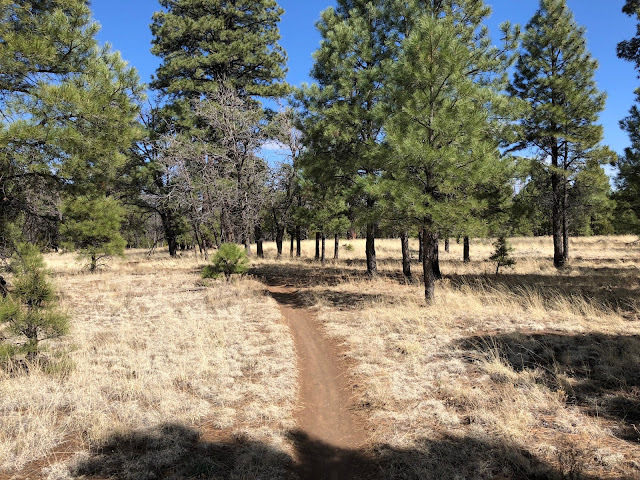 We headed in for a fast and twisty ride through the pines in a nice breeze. It was absolutely outstanding out there, I loved it, dog didn't seem to mind. 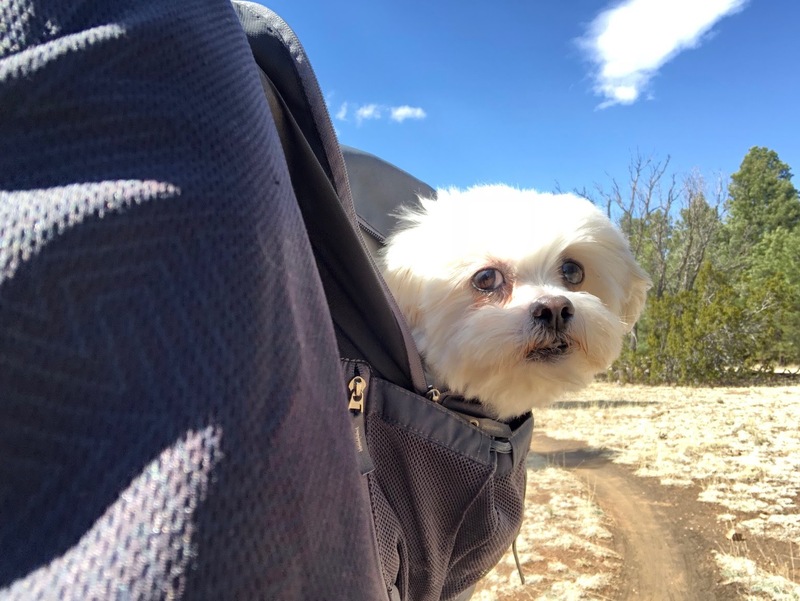 The car ride back into AZ was surprisingly smooth and nice as well. I guess were back and looking forward to the next adventure.